This month is especially for people who are into adventure activity. 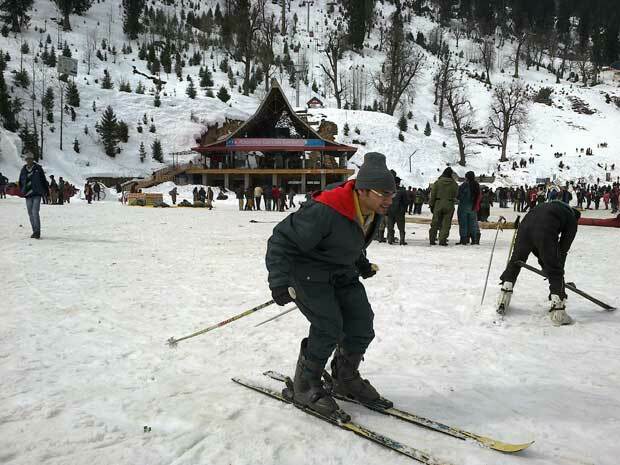 There are excellent slopes in Himachal that offer skiing. 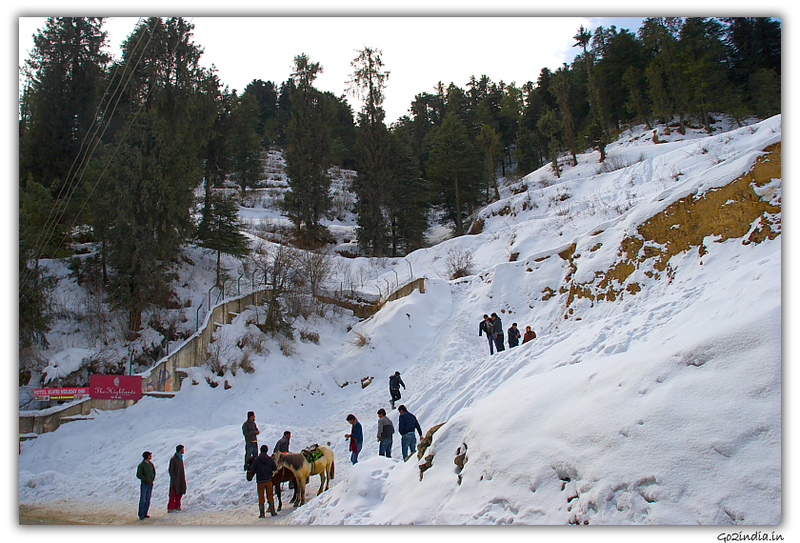 Narkanda, which is 64 km from Shimla and Solang Nala near Manali are popular skiing places in Himachal Pradesh. Many foreigners are seen during this period that especially comes here for Heli-skiing. 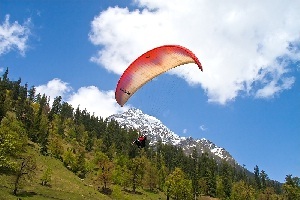 The area around Rohtang Pass provides playground for such activities. The temperature is near to -5 Degree to 5 Degree Celsius. You need to have heavy woolen clothing. The localities use Iron tandoor to keep their houses warm. Most of the hotels give heaters to their guest to keep the room temperature normal. Some of them have central heating systems also for keeping the room temperature pleasant. You can also get snow dress and snowshoes on hire at a nominal rent of 250/- per day. If you wish to come in this month come well prepared. 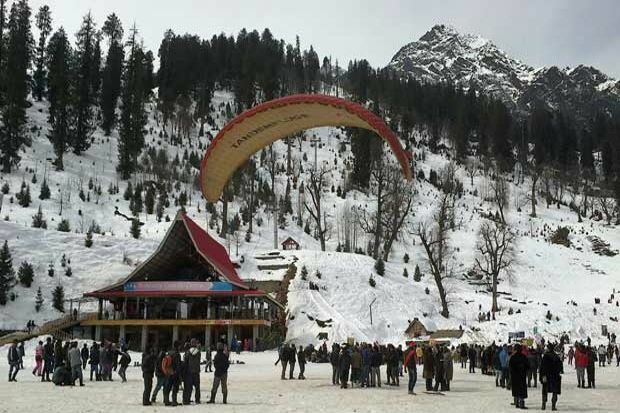 The buses normally don�t come up till the Bus Stand in Manali. They stop near Alu Ground or further below. There are Gypsies and Sumo to pick up from here onward to their respective hotels. 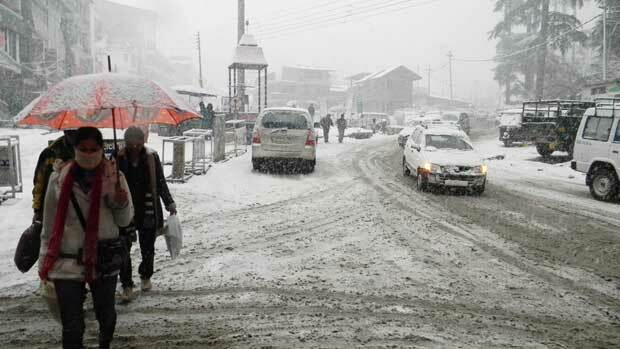 It snows twice a week in Manali and nearby places in this month. There is generally an accumulation of Two to Three feet of snow. Basically everything is stranded. There is not lot of movement seen in the road. The road is opened up by BRO and private companies. The Left Bank Road also known as Manali-Naggar Highway is hit badly by the snow, this road has comparatively more curves than the Right Bank or the National Highway 21, henceforth has many shady part, as result of this snow on the road takes more time to melt. The nearest snow point during this time is Nehru Kund. This is 5kms from Manali. You can go up till Solang Nala only if the Road is open. The further stretch between Kothi to Rohtang Pass is closed. This month too is cold and normally temperature is between 0 Degree to Five Degree Celsius. It snow every week in this Month. You need to have heavy woolen clothing during this period. The localities men�s are seen in their feather Jacket and gumboots and the ladies are seen in pattu�s (traditional dress). The fume from the tandoor is still seen in houses. The nearest snow point during this time is Nehru Kund. This is 5kms from Manali. You can go up till Solang Nala only if the Road is open. The further stretch between Kothi to Rohtang Pass is closed. February is warmer than January as result of it snow accumulation is not so much. Still there is half a feet to One of Snow around in Manali. In Many parts of Manali Local Festival popularly known as Fagli, that lasts for Four Days is celebrated during this period. It is also one of the attractions during this time. Same as January adventure activities are seen all over. If the weather remains clear many par gliders are also seen flying. The temperature starts rising a little bit. It is observed between 3 Degrees Celsius to 8 Degrees Celsius. It is cold during the afternoon but bearable. Morning and Evening are still very cool. The nearest snow point at this time is Solang Valley and Kothi. It rarely snows in this month. But few snowflakes can be seen if the weather is cloudy. You need to hire snow dress and snowshoes to snow point if you have not carried your warm clothes. You can purchase them on rent for Rs. 250/- head on the way to snowpoint. The clothing remains same as January and February for the localities. Slowly the Woodstock of winter starts finishing. Places beyond Naggar start to remove their tandoor by the end of this month. Snow Clearing between Kothi to Rohtang starts in March. By End of this month heli-skiing is also stopped. This is probably the best month according to me. The temperature starts rising it is observed between 5 Degrees Celsius to 12 Degree Celsius. The temperature is pleasant throughout the day. 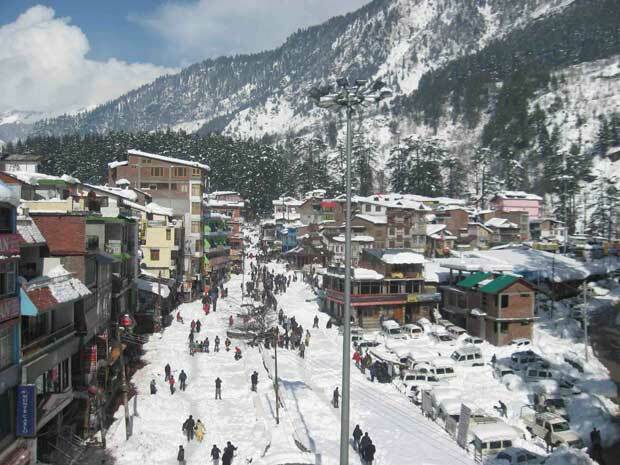 There are many fairs around Manali in which the spring is embraced and welcomed and goodbye is wished to winters. By the end of this month you see bloom in gardens. Everything seems to be picture perfect. People through their warm feathery jackets in the cupboard and wear light clothes. 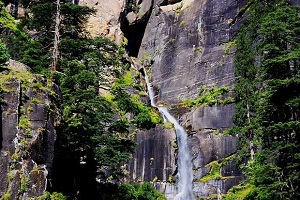 The nearest snow point at this time is Gulaba �Rahla Fall. This is nearly 30kms from Manali. The further stretch between Rahla Fall to Rohtang Is closed. However pedestrian generally Lahauli Locals are allowed to move beyond Rohtang Pass. There are few check post for surveillance of this activity. The tourist season also starts to pick up after this month only. Snow dresses and shoes are not required by this time. However if you want to protect your clothes you may purchase them on hire. The temperature shoots up to Maximum of 22 Degree Celsius and the Minimum Temperature is 15 Degree Celsius. It is hot in the day. It is Pleasant in the morning and evening. You need not carry heavy woolen, light summers clothes will do, except for snow point. The nearest snow point is Beas Nala or Marhi. By the middle of this month it is possible to move up till Rohtang Pass. As a precaution you must carry snow dresses, as it very windy in Beas Nala ,Marhi & Rohtang Pass. 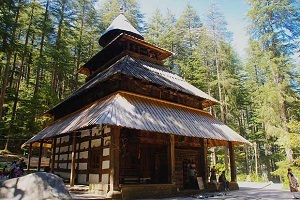 Famous Dhungri Mela which is celebrated occasionally on 16th of May is celebrated In Hadimba Devi Temple, which attracts lots of tourist to this sacred place. The temperature is between 18 Degrees Celsius to 25 Degrees Celsius. The day temperature is very hot; you sometime feel the need of AC and Fan. It is pleasant in the morning and evening. You need not carry heavy woolen, light summer clothes will do except for Rohtang Pass. 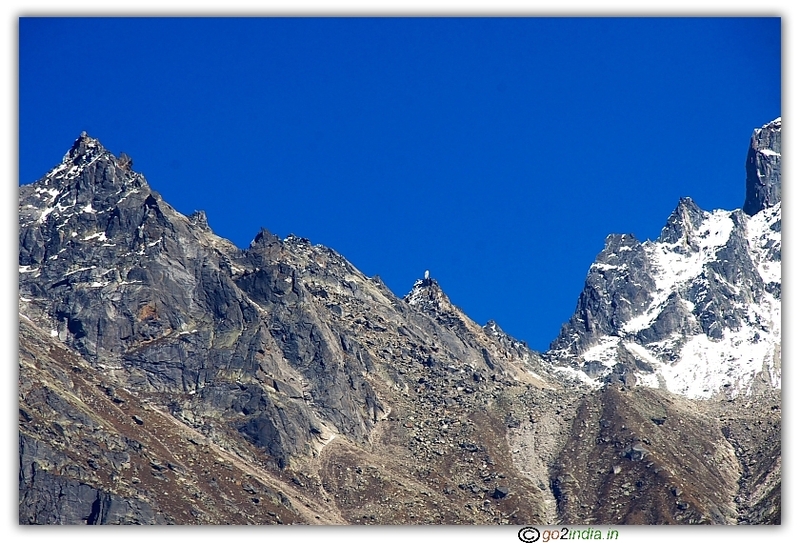 The snow point is in Rohtang Pass. It is very cold in Rohtang. You need to carry Snow Dresses as a precaution, as the temperature drop here astonishingly. You can get winter like conditions here in this month too. Water Level of Beas increases radically. This is perfect for rafting. The temperature is between 20 Degrees Celsius to 30 Degrees Celsius. It is very hot and humid. 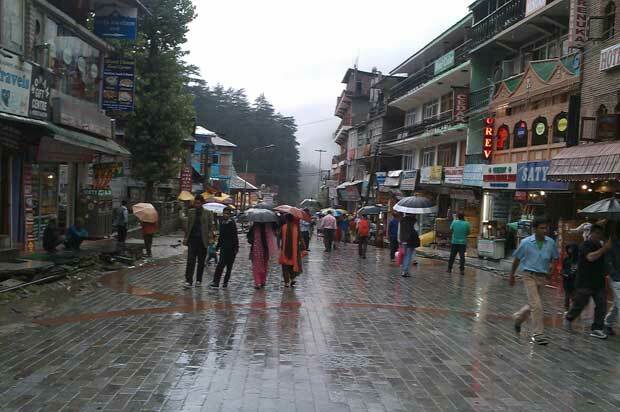 July is Rainy Season for Manali. Snow cover in the mountain starts vanishing and almost disappears by August. There is lot of slump in tourist arrival. Even in Rohtang the snow cover starts to vanish. It is also not advisable to move to Rohtang as lot of landslides are observed. However this being the main highway to connect Leh-Ladakh lot of Vehicles movement is seen. Carry only Summer Clothes for this month except for Rohtang Pass. You may even carry rain coats and rains covering for baggage. As the water level of Beas increase extensively Adventure activities like Rafting and Paragliding are shut down, for July and August. The Temperature is between 22 Degrees Celsius to 33 Degrees Celsius. It too is hot and humid. The rain is in full force in this month. Carry only Summer Clothes for this month except for Rohtang Pass. You may even carry rain coats and rain covering for baggage. Snow cover almost vanishes from the mountains. You hardly can see snow anywhere except for peaks like friendship and Hanuman Tibba, which are not motorable. In Rohtang pass only few patches of snow can be seen here and there ,not more than that. This month to the water level is above normal. The Beas river carries lot of silt due to which it becomes lethal henceforth adventure activity remain close for this month too and open only after 10th September. There is a marginal fall in temperature. The temperature is between 16 Degrees Celsius to 25 Degrees Celsius. It is hot but not humid as in July-August. Carry only Summer Clothes for this month except for Rohtang Pass . It is warm in morning and evening. There are chances of snow fall in the high mountain ranges. But it vanishes fast as the atmosphere is warm. The temperature is between 8 Degrees Celsius to 15 Degrees Celsius. It is cold in morning and evening. At least you need to have sweater, to bear the cold. The mountain ranges are seen often snowing as is it gets cloudy. By the end of this month the coldness is more severe. Tourist at least need jacket to protect them. Carry light jackets too and heavy woolen clothing for Rohtang Pass. Localites are seen stocking woods for winter. Even winter purchase also starts rising up. 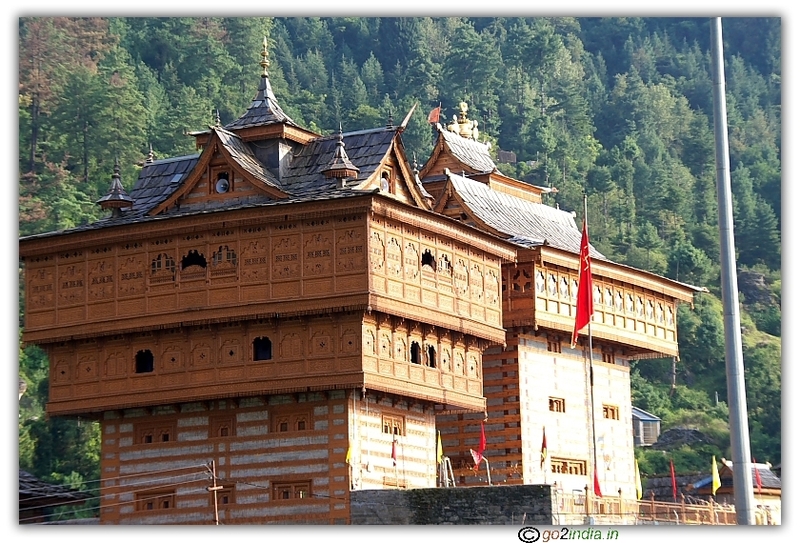 Dussehra of Kullu generally in October, where 200 deities come to pay homage to Lord Raghunath. The festival is also a great attraction to tourist during this period. It is also observed that on the opening of Dussehra it snows on the mountain ranges every year consecutively. This indicates that winter has arrived and you need to take off your jacket from the cupboard. The temperature is between 3 Degrees Celsius to 10 Degrees Celsius. It is biting cold in the last two month. They are also seen as coldest months of the year. Tan door are put back by the localities. Heavy woolen are seen back in fashion. Frozen ice is seen in road, wherever the water is stagnant. Rohtang Pass is also officially closed after 15TH November by the BRO. There is also chance of snowfall in city in this month. Maximum Hotels start to give room heater for their client on per day Rent of Rs. 300/- . You need to carry heavy woolen for this month. You can even rent snow dresses for Snow Point. The Snow Point may be before Rohtang Pass. The temperature is between 0 Degrees Celsius to 3 Degrees Celsius. It often snow during Christmas and New Year Time. The Snow Point is in Solang Valley by this time. Do carry heavy woolen. The roads are very slippery because of frozen ice on the road. Fume from tandoor are seen in the local houses. It also gets very dark by 5pm. The water level in the Beas also decreases significantly. Rahla fall near Rohtang freezes to ice. Where can we hire winter dress or snow dress and snow shoes? 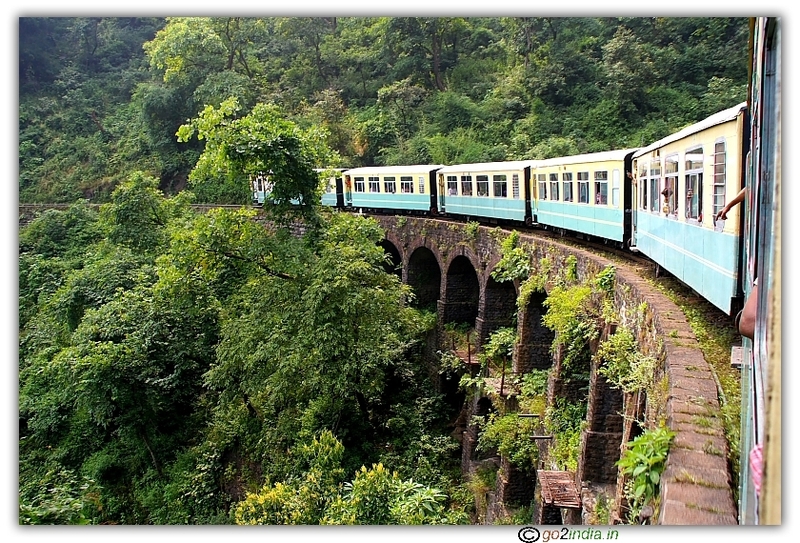 I am travelling for the first time to Shimla and manali from Bangalore from 18th April to 24th April 2016. Can we get the winter dresses for the 4 days on a stretch ? I am staying in Manali for 4 days. I had been to kashmir last year and the winter dress was provided only at the Gulmarg. I viisited kashmir during the same time, but it was lot warmer. Manali weather forecast looks too cold. Any suggestion is a welcome. On the way to Rohtang pass , you can get all dresses and shoes. But now it is not open and you may not able to travel upto Rohtang. 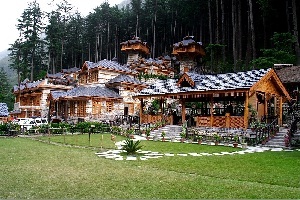 You may not require heavy woolen dress all other places around Manali. It is not that cold at Manali this year. Hi, we will be travelling to Manali in the last week of January 2017. Can you please suggest wardrobe ideal for the climate during that time. Is it advisable to purchase heavy winter-wear in Manali or should we get them along? Carry heavy woolen dresses, If you are travelling by night then take care of night journey as after Mandi ( last three four hours journey ) it will be too cold. You will get all types of dress to manage cold at Manali but you must take care while travelling to Manali in night time.